A while back, I picked up some Vanguard Veterans for cheap on ebay. I really liked the models and the new Raven Guard rules gave them some great formation bonuses in the game. 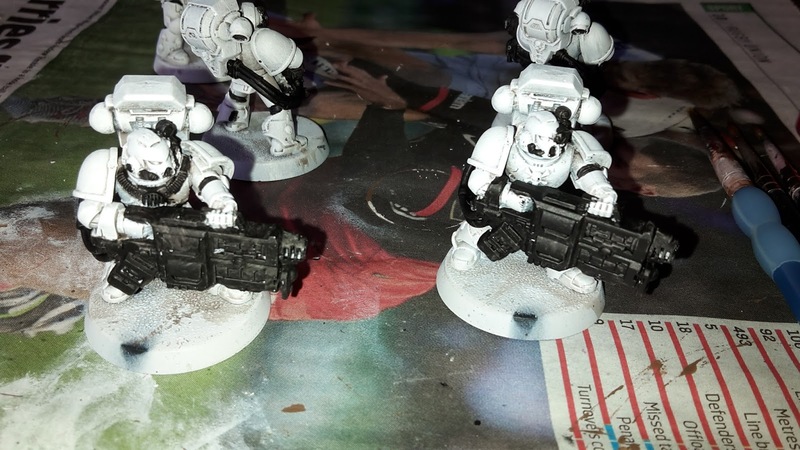 I finally got round to painting them up as part of my effort to complete my White Scars army. When painting these, I used Agrax Earthshade as the wash for the red colour, rather than my usual Carroburg Crimson. This gives a much better contrast between the base red and highlight. Thanks to Nick (the Burning Eye) for the tip, it works way better! Welcome to the battle report for my final game of day 2 of Caledonian Revolution 2016. After scraping a minor win in the last game, I found myself playing at the same table once more against William and his Tyranids. The mission for game 5 was Big Guns Never Tire (5 objectives), with Tactical Escalation for the maelstrom mission (one card on turn 1, two on turn 2, etc.). The deployment was Hammer and Anvil. My fourth game of the Caledonian Revolution tournament began nice and early on the Sunday morning. I found myself on table 20, going up against Mark and his unholy alliance of Imperial Knights, Ultramarines and Chaos Daemons. The mission was Emperor's Will (one objective each) with Conact Lost as the maelstrom mission (one card for each objective held). Game 3 of Caledonian Revolution saw my White Scars taking on Lee's Dark Angels army. Lee's army was absolutely stunning as you will see in the photos below. The third mission had The Scouring as the primary mission and Deadlock as the maelstrom mission (6 cards on turn 1, 5 on turn 2, etc). 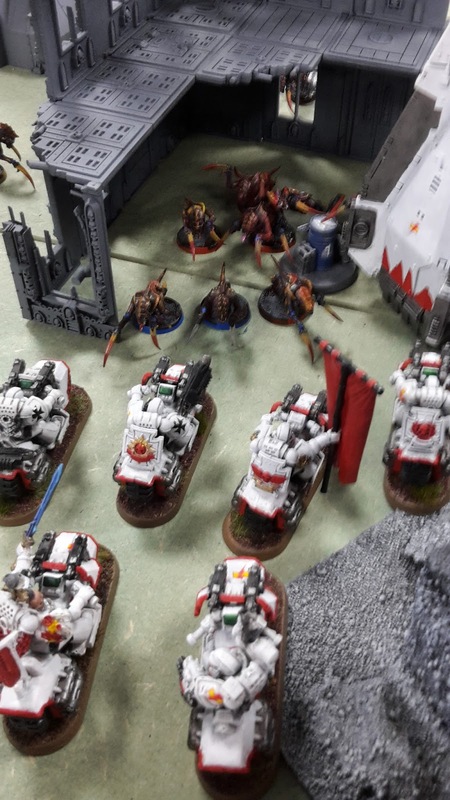 After my absolute crushing in Game 1 of the tournament, I found myself banished to table 32 to play Simon and his Necrons, after he had as good a start as I did. The ETC mission for this game was The Relic as the primary and Spoils of War as the secondary (3 maelstrom cards per turn, you can steal your opponent's secure objective cards). 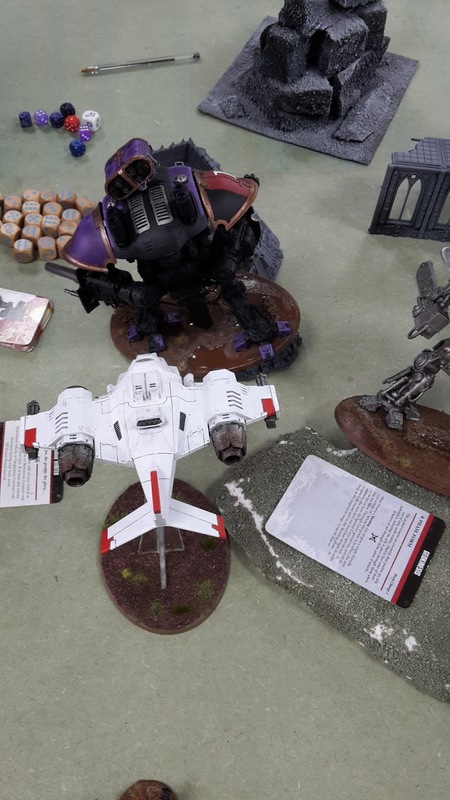 Welcome to my first battle report from my games at the recent Caledonian Revolution tournament. The tournament was held at the North Western Gaming Centre down in Stockport and featured 75 players. I decided to take my White Scars to the tournament and had been practising with my list for a few months with varying degrees of success, so was feeling ok about my chances in my games over the two days of the tournament. Ideally, I wanted to win at least 3 of the 5 games and finish in the top half of the rankings table. Overall, I had a fantastic time at the tournament. I play 5 very challenging games over the two days against some great opponents. The guys organising the tournament were fantastic, all the games ran on time with plenty of time for each match, and everything was run efficiently and with good humour. A big thanks to all of my opponents and everyone I got chatting to over the weekend for making it such a fun event. 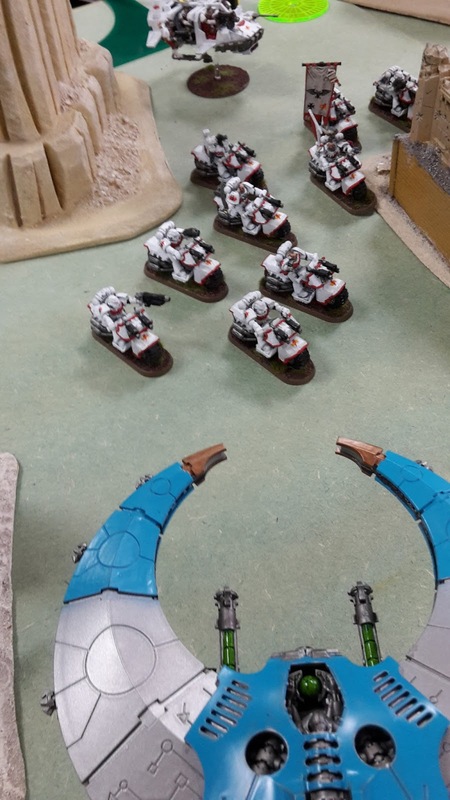 A big bonus for me was how many players over the weekend recognised my army from the blog and how many people said that they read and enjoyed my blog and battle reports. It's great to get that kind of feedback from people I haven't met before and really makes the effort that I put into the blog worth it. 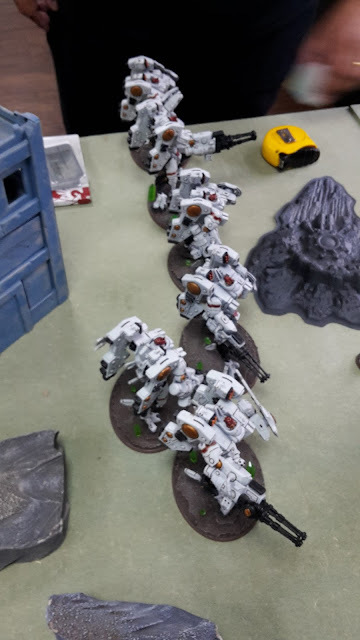 I also got a few compliments on my army, which was great given the very high standards of painting you will see in the Armies on Display post. Over the weekend I got several comments along the lines of "it's so unusual to see a White Scars army actually painted up as White Scars", which made me chuckle. I did not win any raffle prizes, but got a bargain of a sale. One of the winners decided he did not want to take his Betrayal at Calth prize with him on the flight, so I snapped it up for only £50! 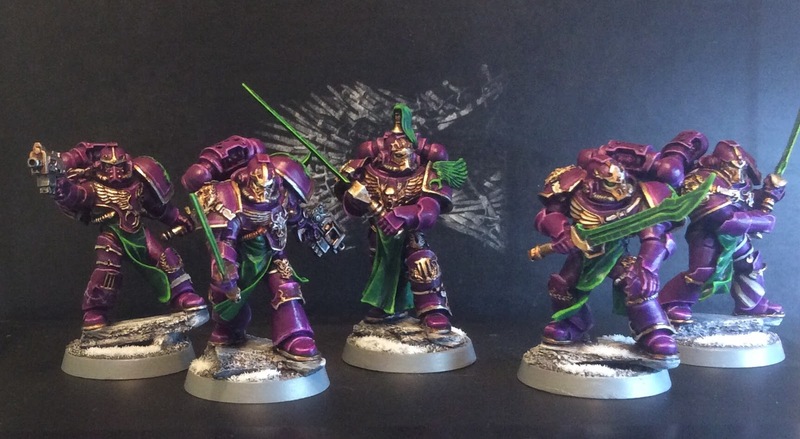 My resistance to starting that Emperor's Children 30K army is slowly diminishing as I type. It was a really fun weekend and I got to meet some great new players and hopefully get a few new readers for the blog in my game opponents. 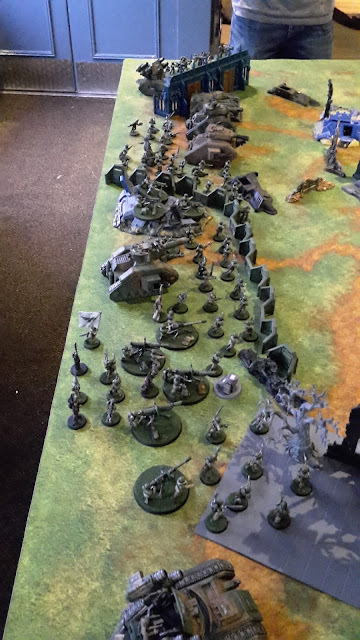 After a disastrous drive down the motorway on the Friday (more on this in a later post) and a lack of sleep on the Friday night (my hotel decided that 5 am was the perfect time to use the industrial dish washer located directly below my room), I got my army ready to see what table I would be playing on. I was due to play Matt and his Daemons in my first game, but he had to drop out of the tournament. I was informed later that he had actually won the last Caledonian Revolution, so I was not too upset about this. 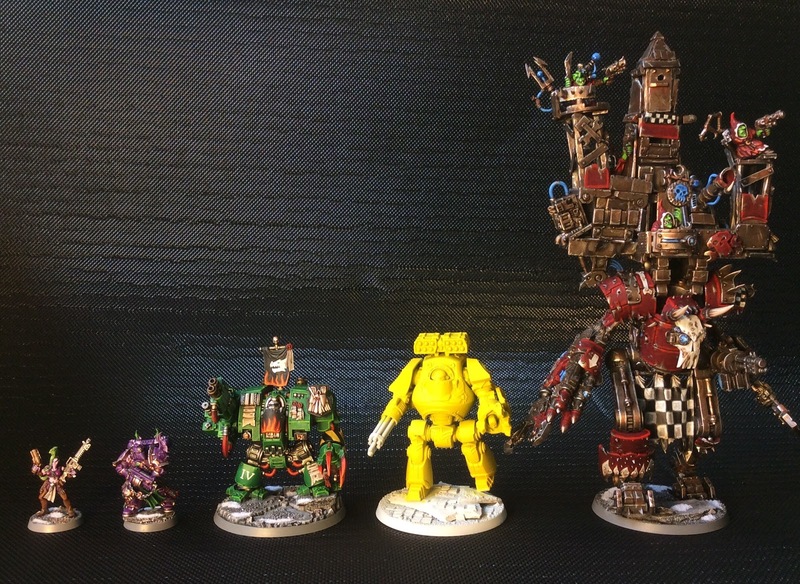 This week's Better Know a Blogger features Will (AKA Blazmo) from Tabletop Apocalypse. Will is another relative newcomer to the world of 40k blogging, as Tabletop Apocalypse only started in March of this year. I first spotted Will's blog when a picture of his Emperor's Children Palatine Blades appeared on the blog roll on Faeit 212. I still had Rob's review of the 30K Emperor's Children on my mind (the temptation to start this army is still strong with me! ), so was impressed by what I saw in the tiny thumbnail beside the blog title. I clicked on the link and I have not been disappointed since. 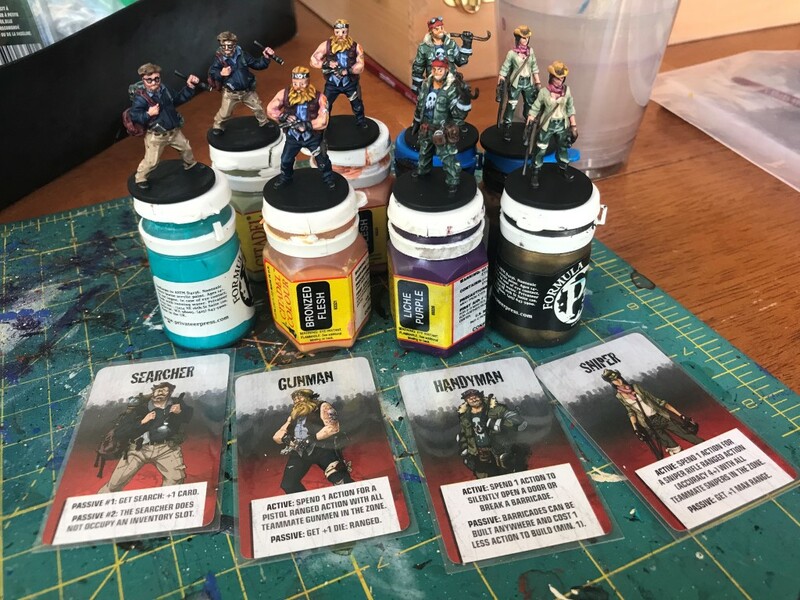 Tabletop Apocalypse is very much a hobby blog, showcasing Blazmo's amazing painting and modelling skills. 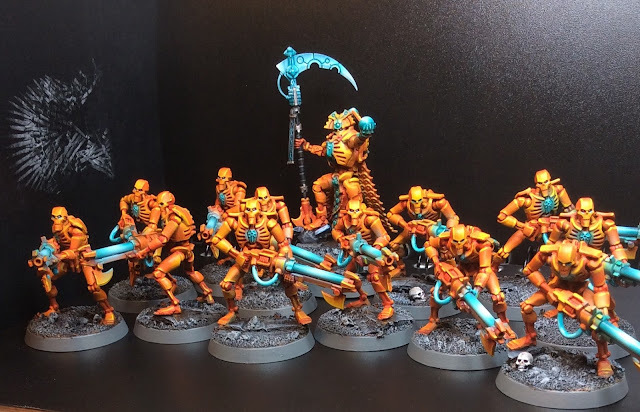 His work includes a wide range of different armies including his Chaos army, his Grots army, Space Marines and unusual orange Necrons. I did not think that Orange would work well as an army's primary colour, but somehow it just looks great. He also does some great conversion work, a stand out being his MASSIVE Deff Dread conversion that towers over mere regular Walkers. Not only interested in 40k, Will also dabbles in other systems such as Fantasy and Infinity. 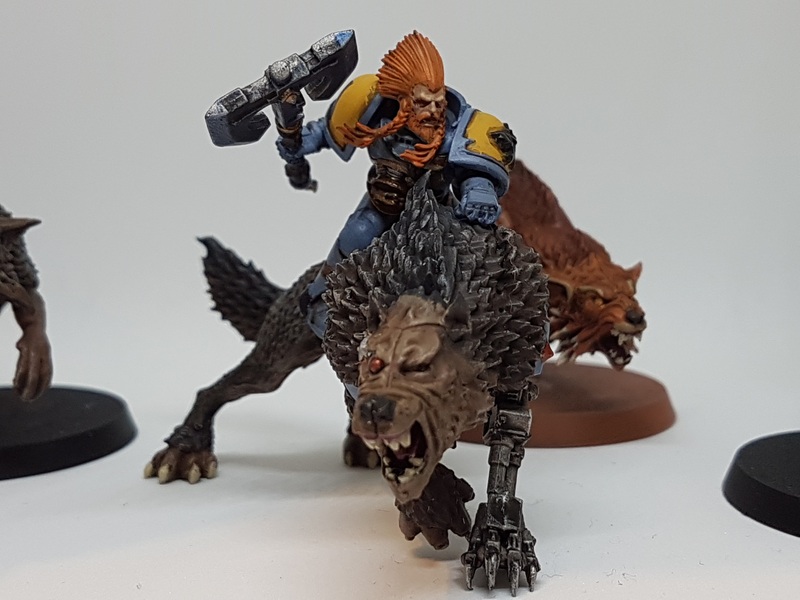 One of my favourite articles recently has been his How to be a Better Painter- Basics. This provided me with some very useful tips that I have begun to incorporate into my own painting. I look forward to seeing if this series develops and hope to glean some more tips from him in the future. Based on the quality of his work on the blog, it's a travesty that more people have not found this blog yet. I urge you to go now and add yourself to his "Followers" tab located on the blog. Tabletop Apocalypse does not deserve to be "The Hobby blog that nobody reads". Go on, I'll wait.......(plus, if I get him a ton of new readers, maybe he'll do a tutorial on his Emperor's Children paint scheme for me!). I think I was about 8. It was my brother who first got me interested after he went to secondary school and everyone there was playing Warhammer (your brother and I went to very different schools- Mike). It was right in the prime of second edition too, in the heady days when White Dwarf was a magazine worth reading and you had to save up your pocket money a pound at a time to get a Saurus Champion. Oh, the memories! Later as I got older I lost touch with all hobbying. It wasn’t until I picked up a copy of Dawn of War on the PC that I realised I missed it so much. It was a slow slide back into full-blown obsession. 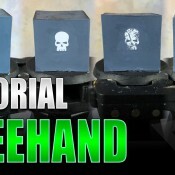 This week's Hobby Sunday features my Grav Cannon Devastators and my White Scars Dreadnought. I bought the Devastators from ebay back in February. I stumbled across them and there were 4 Devastators with Grav Cannons and a Sergeant with a combi-grav going for only £15! An absolute bargain. I snapped them up instantly and have finally got round to painting them. I have only used them once in a game and they are awesome, I will be using them much more in the future. The squad came on the new 32 mm bases. I must admit, the marines actually look really good on the 32 mm bases. 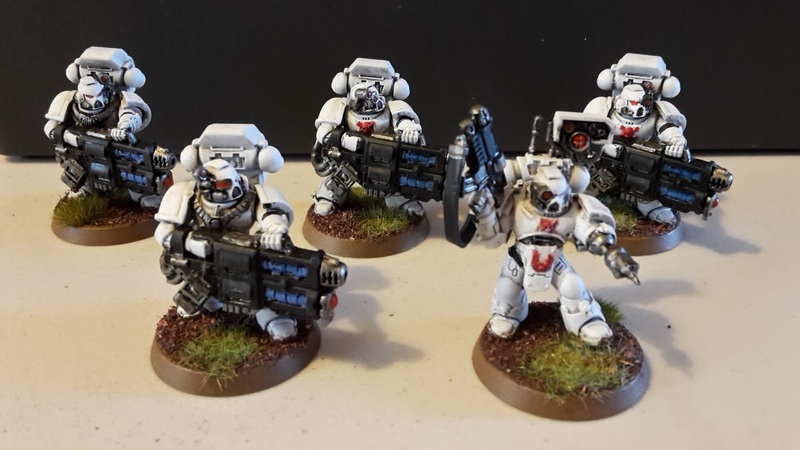 I was intending to swap them to 25 mm bases to fit in with the rest of my army, but the new Devastators have been practising their power stances for air guitar and won't actually fit on a 25 mm base. Better Know a Blogger- Participants Wanted! 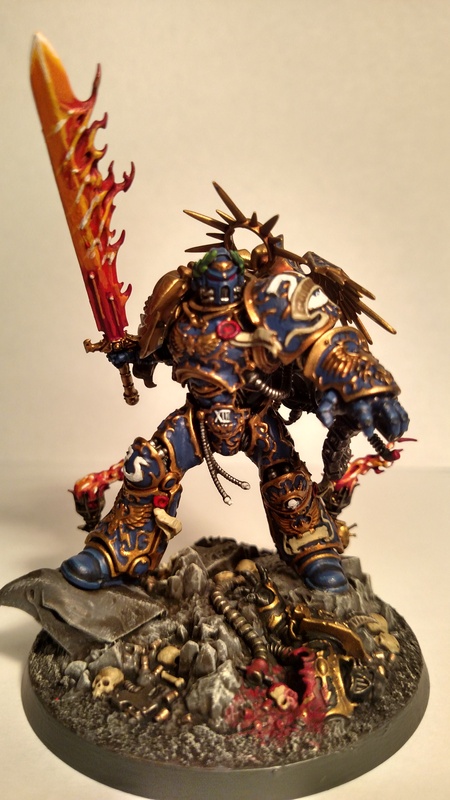 Do you have a 40k blog? Are you not currently on my blog list? Am I missing your awesome work because of this? If so, please comment below and let me know the name of your blog. I am always on the lookout for new blogs to follow and great new content to read. I can't promise you fame and fortune, but I can promise you at least one more regular reader. If you are already on my bloglist and have not taken part and wish to do so, please contact me. Welcome to the latest part of my Better Know a Blogger series. As you can see from the title, this week the blogger in question is me! I thought it was only fair that after all the people who have taken the time to answer my questions, that I had best answer them myself. Me. In my traditional Scottish wedding garb. No long intro for this one, if you are reading this then I assume you know about my blog. Join me as I sit in front of a mirror and perform a self-interview. 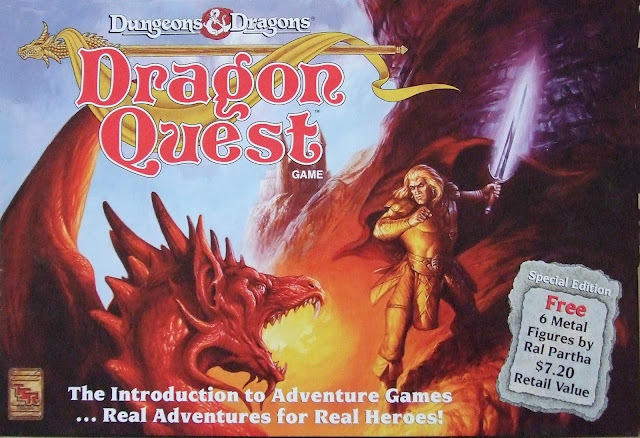 When I was 11-12, I got two copies of the D&D Dragon Quest game for my birthday. I absolutely loved it and pored over the rules, cards and board for months on end. I spent ages making up quests for the game and writing intricate backstories and scenarios. Despite all this, I only played the game half a time. After weeks of pestering, my Dad, brother and sister agreed to play a game. I explained the rules and we started the first quest. We got about two hours into it when it was time for bed, we were supposed to finish it the next day, but no one wanted to! That still didn't stop me from devoting a lot of free time to the game after that. 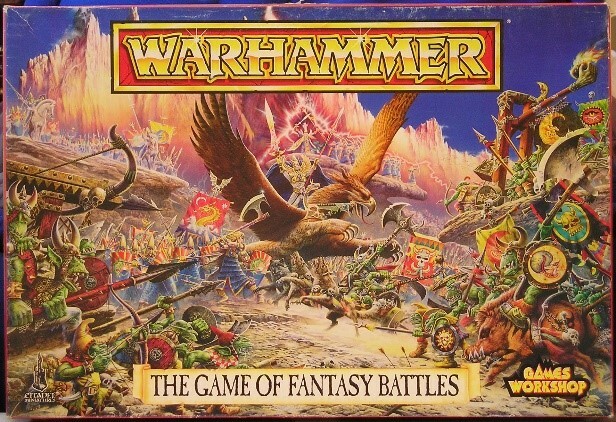 When I was about 14, my best friend in school told me about an awesome game that he had just got for his birthday- Warhammer Fantasy (it was the 5th edition boxed set). He lent me the rule books and I was hooked. I loved the miniatures, the rules and the artwork. At 14, many young boys start to take an interest in girls. Unfortunately for me, the girls I was interested in were Dark Elf Wyches and Bretonninan Sorceresses. We played a few games with the stuff in the box and I decided to start my own army. I have been playing GW games ever since. We both progressed from fantasy to GorkaMorka and then 3rd edition 40k when it was released. My best friend stopped playing after we left high school, I guess the allure of alcohol and women was too much for him. What a fool! A few months ago, Frontline Gaming put out an advert looking for new writers and content producers. I decided to give it a go and submitted a few of my editorials as examples of my writing to see if they were interested. Fortunately for me, they were. My first guest editorial was published today- Fondly Remembering White Dwarf. Long time readers of the blog will probably recognise the title and indeed body of the article as it was one of my first editorials on St Andrews Wargaming when I was still a wet behind the ears blogger. I hope to be writing several more articles/editorials for them, so keep an eye out for them on your blog feed. Don't worry though, St Andrews Wargaming will still continue to be chocked full of content! I've put a lot of work into this over the past year and don't intend to let up now (dance with the one that brought you, as the old saying goes). 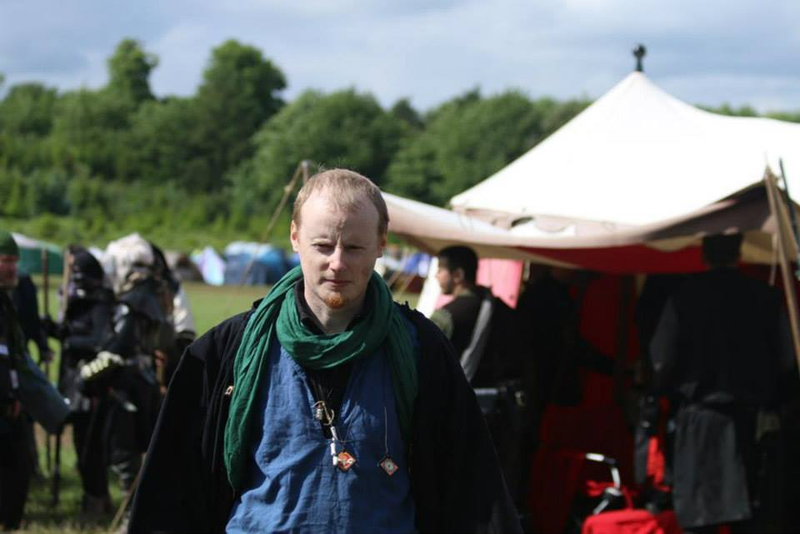 I have just returned from Caledonian Revolution 2016 and intend to bring you details of my trials and tribulations at the event, as well as 6 very exciting battle reports from the tournament in the coming weeks. 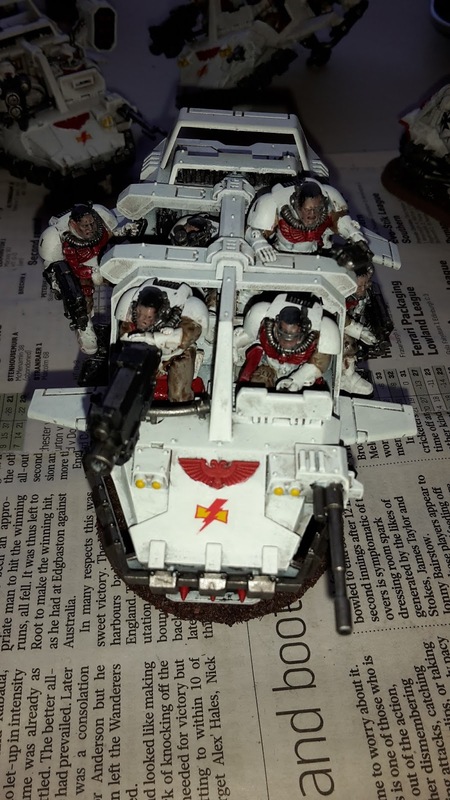 This week's Hobby Sunday highlights my White Scars Stormraven flyer. 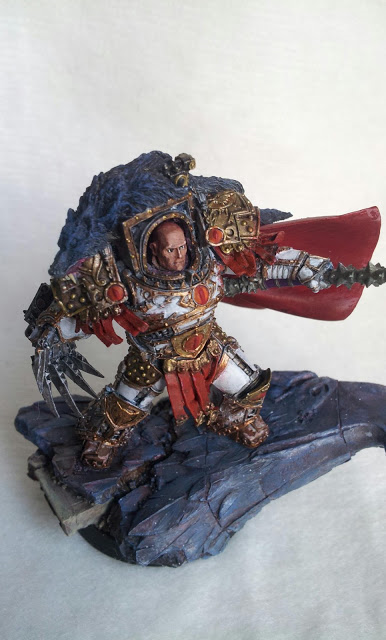 This model has been sitting undercoated in a box for over a year now, so I finally decided to dust it off and get it finished in my recent run of White Scars painting. 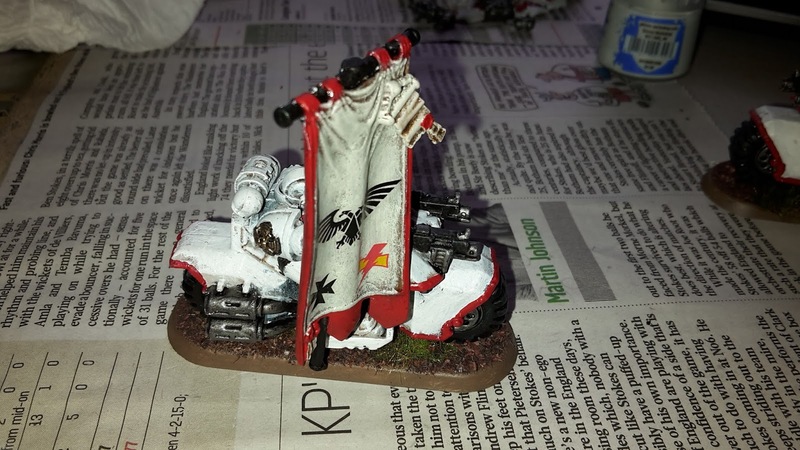 The Stormraven was painted in my standard White Scars scheme. Today I will be attending Caledonian Revolution down at the NWGC in Stockport. 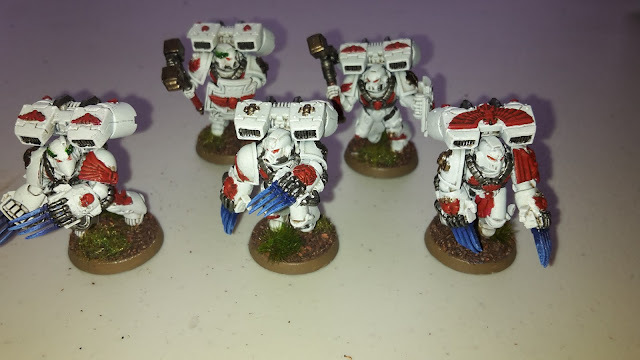 I will be taking my White Scars army (my go to tournament army) and have made two lists for which to use at the event. The first list is for the games on the Friday night. This is a 1000 pts Combined Arms Detachment with no Fortifications, Superheavies or Gargantuan creatures and no D weapons. 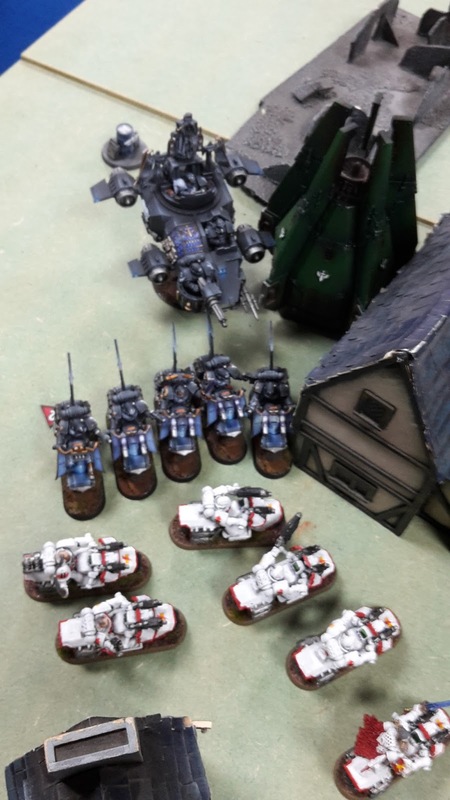 This week's battle report sees my Astra Militarum army take on Raymond's Mechanicus and Skitarii force. My warlord trait gave me Voice of Command, giving me an extra order on my command squad. For my psychic powers, the Astropath got Hallucination and Psychic Shriek, the Primaris Psyker got Misfortune, Perfect Timing and Prescience. 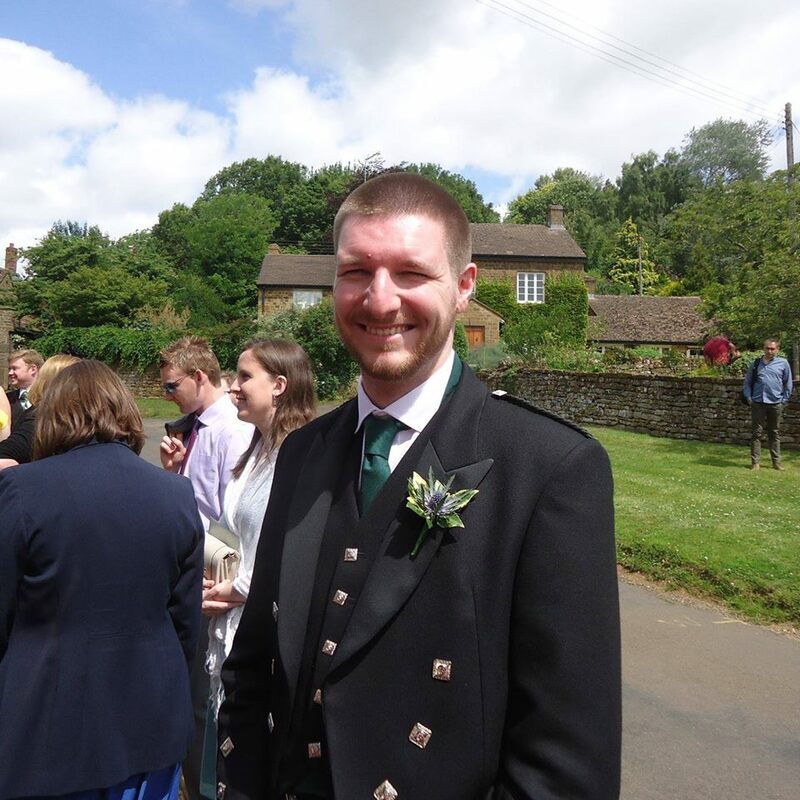 This week's Better Know a Blogger features Rory from "Stepping Between Games". 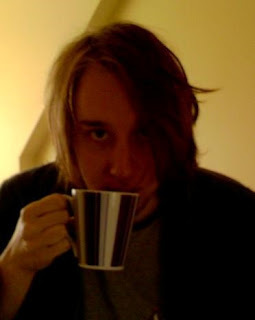 Rory has been a regular commenter on my own blog and I began to follow his own blog a while back. 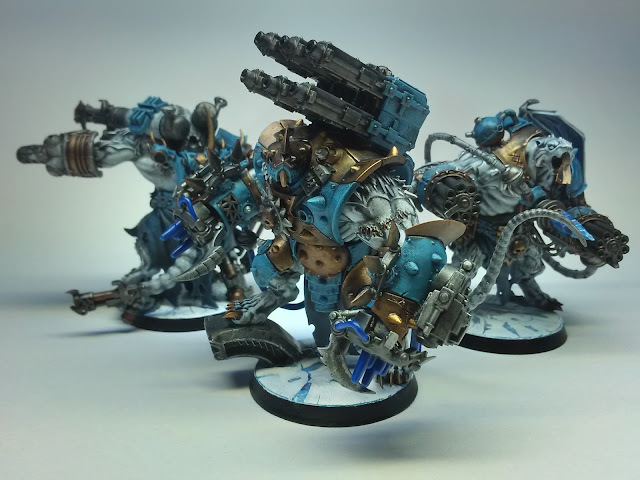 Rory writes from the lovely Emerald Isles (Ireland to the rest of you) and his blog has a strong focus on the progress of his Thousand Sons Chaos Space Marine army. 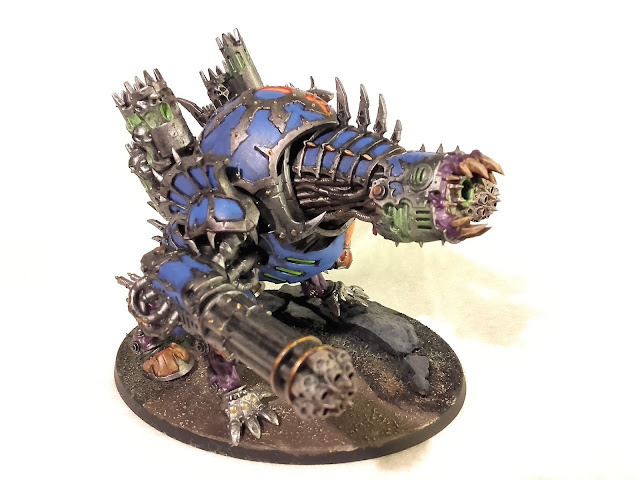 You can find regular updates on Rory's work in progress for many aspects of his current army, the most recent additions being his Daemons and Forgefiend. As well as his own work, Rory's blog features a lot of community building articles that are well worth checking out. These include army showcases when he comes across some great looking armies online, highlights on Kickstarter projects that could be of interest to other gamers and a number of guest articles on a variety of topics including Malifaux and a 40k Hrud army. 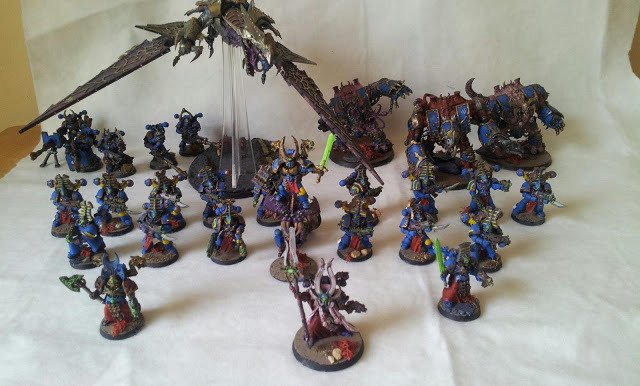 One of Rory's showcased armies. His most recent work has involved his attempted to scratch-build a Chaos Imperial Knight. Quite a daunting task, I look forward to seeing how it progresses. I think I was 13 or 14 when it really starting to pick up for me. I was lucky that I had a friend equally into the more quirky things in life, indeed he went on to become a fantasy writer, Paul Shortt. Together we played games of Hero Quest and Space Crusade, including a lone Gretchin taking out a Space Marine captain, the shame... Since then tabletops, boardgames and LARP have kept my gaming life busy. As part of my ongoing effort to finish off my White Scars, I finally completed my Land Raider Crusader that has been sitting undercoated and with its first wash for about half a year now. 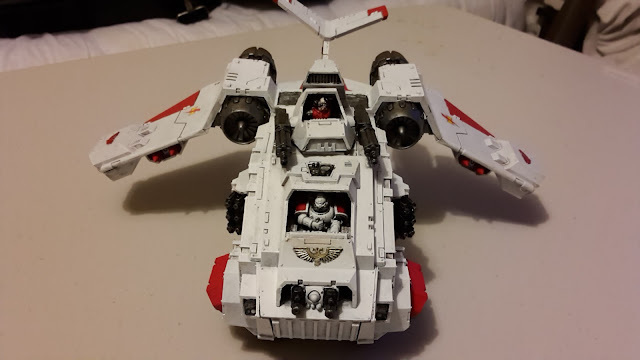 I painted the vehicle up using my standard White Scars colour scheme. 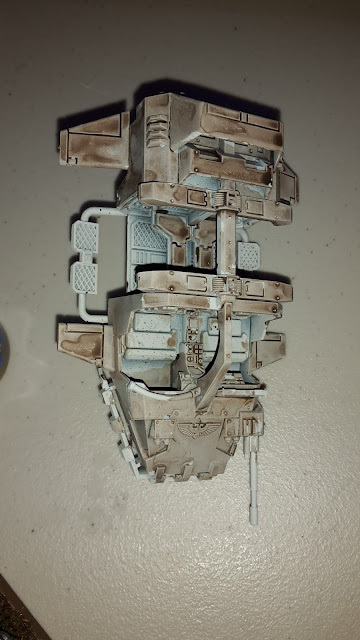 The more I worked on it, the more I appreciated how detailed the Land Raider kit is and what a great model it still is. Now that it is completed, I will need to take it in a game soon. I want to play my White Scars a few times using units that I don't normally take in the army, rather than just bikers and scouts all the time. 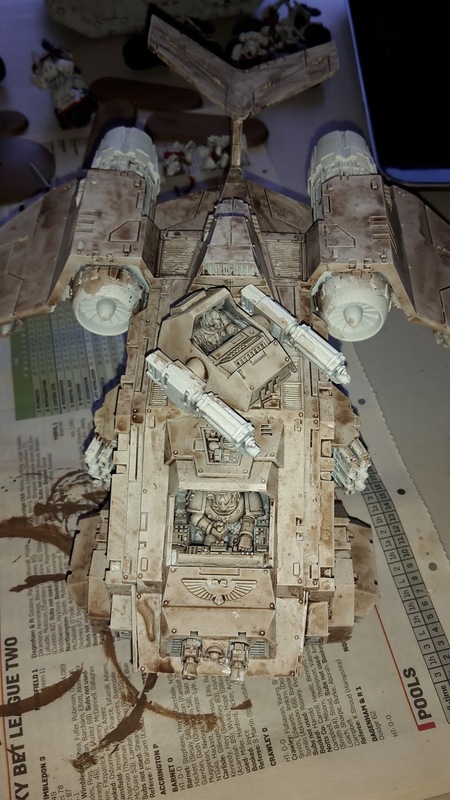 Hope you enjoy the photos of the completed Land Raider. St Andrews Wargaming on Holiday! Hi everyone, I will be away on holiday taking a well deserved rest (at least in my opinion!) for the next week. After all that fun, the excitement does not end there, as I return to go straight to Caledonian Revolution where I will hopefully be playing some brilliant games to make some fantastic battle reports for you, dear reader! 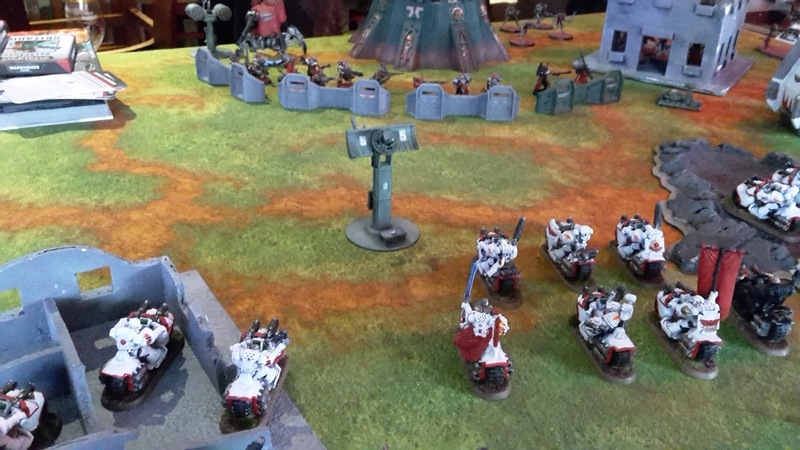 For this week's battle report, my White Scars take on Raymond's Mechanicus and Skitarii in one of the special missions from the Angels of Death supplement. I've been wanting to try some of the new scenarios from the Angels of Death and Death from the Skies books, and hope to try most of these interesting new scenarios over the next few months. These missions provide some very different ways to play for both armies and should hopefully provide some unusual games. I dropped the Librarian from my last list and added a bike-mounted Chaplain. This would hopefully give the Command Squad a bit more punch in combat and add an additional character with an invulnerable save. I also added the Banner of the Eagle to the Command Squad to give my White Scars units fleet and furious charge to help them further in combat. I also added a power axe to one of my bike units to add some much needed AP2 in combat. Finally, I decided to test the Stormhawk Interceptor to see how it performed in this game. My warlord trait was fixed with Khan, giving me a morale check re-roll bubble (as well as allowing Scout). 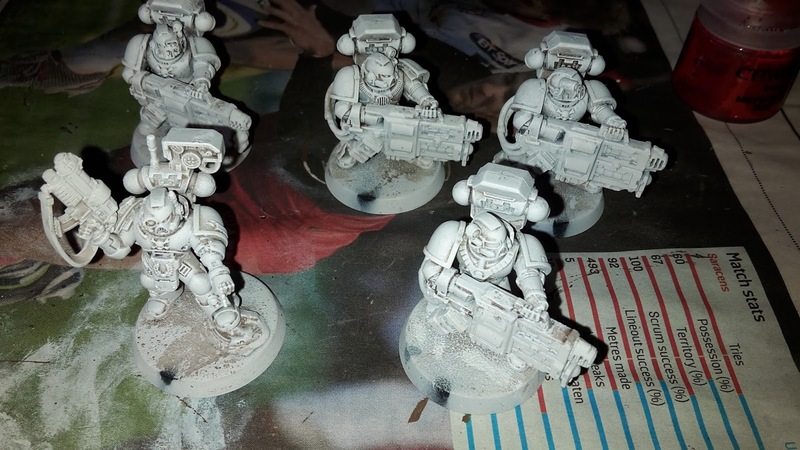 This week I have been concentrating on some of my White Scars bikers that I have had sitting around for a while in my painting pile. 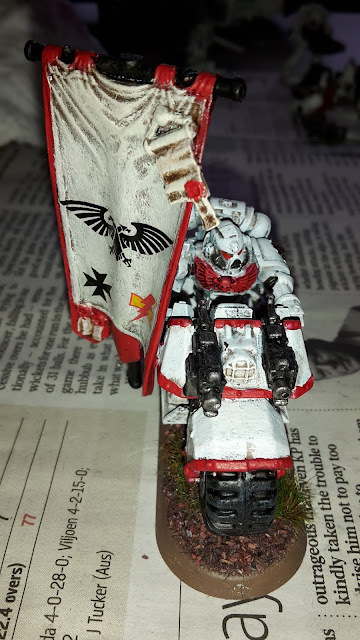 After the release of the White Scars rules in the Kauyon supplement, I decided to build a biker with a banner to represent one of my Command Squad carrying the Banner of the Eagle. 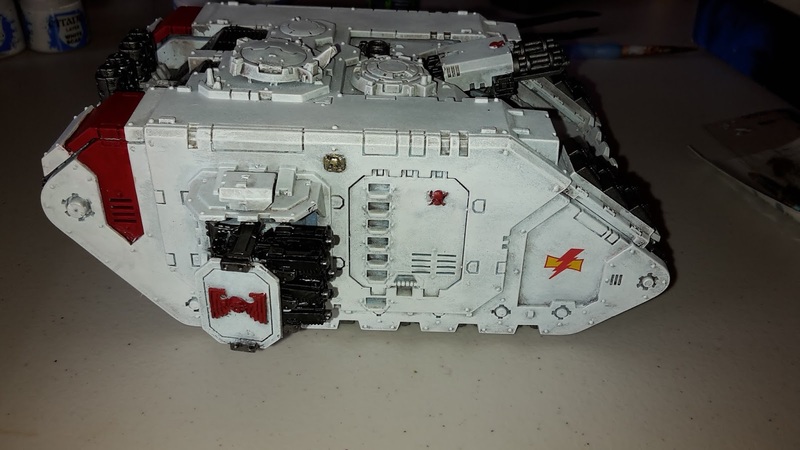 This piece of wargear gives your White Scars units in range Furious Charge and Fleet. This is great for ensuring that your bikers get to charge and giving them a bit of extra punch when they do. The banner was made using water transfers that I had lying around. It is a bit plain, but decent enough for me. This week's Better Know a Blogger features Pawel (AKA Swordmaster) from "The Path of an Outcast". 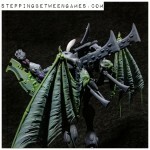 I first came across Swordmaster's blog when I was getting back into Warhammer Fantasy and was looking for some Vampire Counts battle reports to get hints and tips on how to expand my army. What I came across were some of the best Warhammer battle reports that I had seen online. Anyone who enjoys my 40k battle reports has Swordmaster to thank for them. A quick look at his battle reports will show many similarities between his style and my current style, with his reports being a big influence on how I wanted mine to look on the blog. In fact, Swordmaster was the one who pointed me towards Battle Chronicler, the program that allows me to draw my maps for all my games. His reports are well worth a read, even if you don't play fantasy. 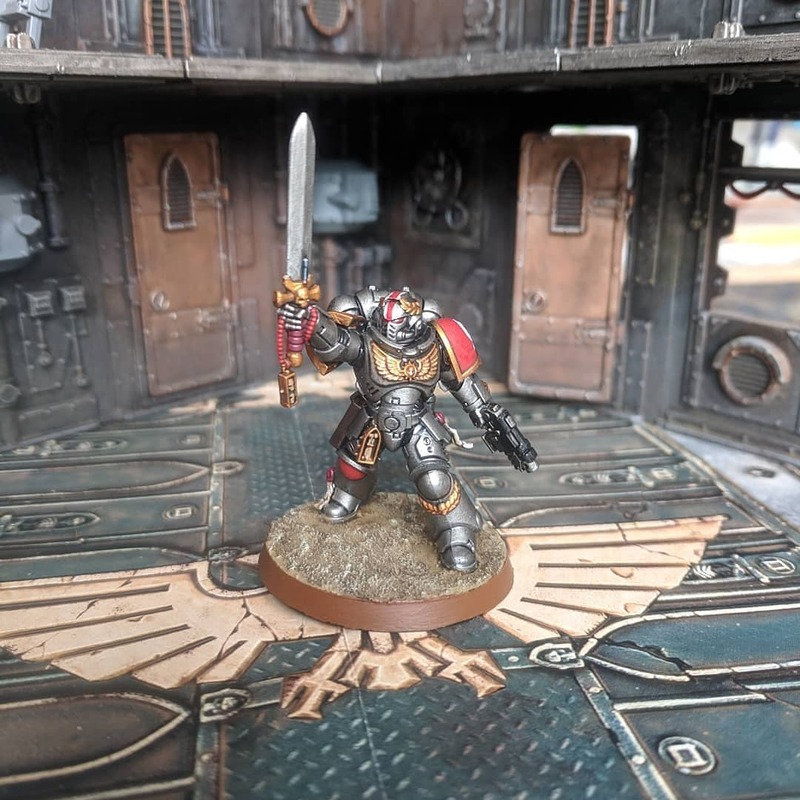 They include a run down of his army, a run down of the opponents army and comments on each unit and the threat they bring, maps for each turn and some after battle thoughts on how his army performed and what could be improved. 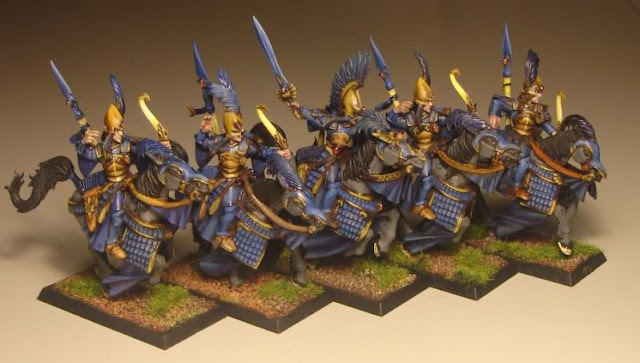 Swordmaster was an expert on the Multiple Small Unit (or MSU) approach to High Elves, competing in many Australian Fantasy tournaments and placing very well in most of these. With the release of Age of Sigmar, Swordmaster has turned his attention towards Kings of War. This is a fantasy wargame from Mantic Games that has the bonus of having the basic rules and army lists free online. Pawel is trying to adapt his very successful MSU style of fighting over to Kings of War, and the battle reports and developments of his lists into the new system make for some interesting reading. I haven't had a chance to try Kings of War myself, but I hope to sometime in the future to see what all the fuss is about! There is not a huge amount of hobby content on the blog, but that has been changing recently as Swordmaster has been detailing some of his attempts to create new scenic bases for his units for Kings of War; one of the key points of the game is that individual models are not removed from units during the game, but the whole unit is diminished and then removed at once. This allows players to model unit dioramas or have elaborate bases without having to worry about removing single figures. 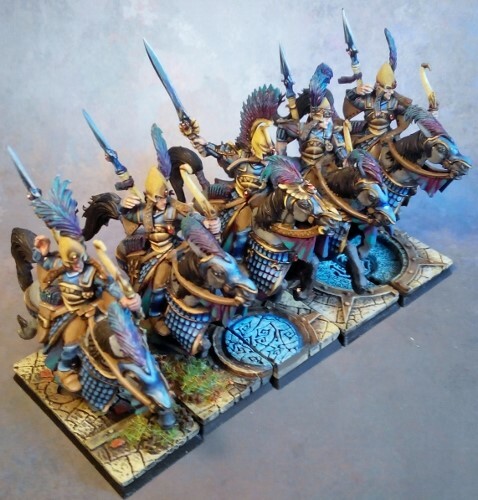 I for one, would love to see more hobby and painting work from Swordmaster, as what you see in his painting tutorials and in his game photos shows an impressive looking army. First of all I would like to thank you for the honor of being invited to contribute to the great “Better Know a Blogger” series. 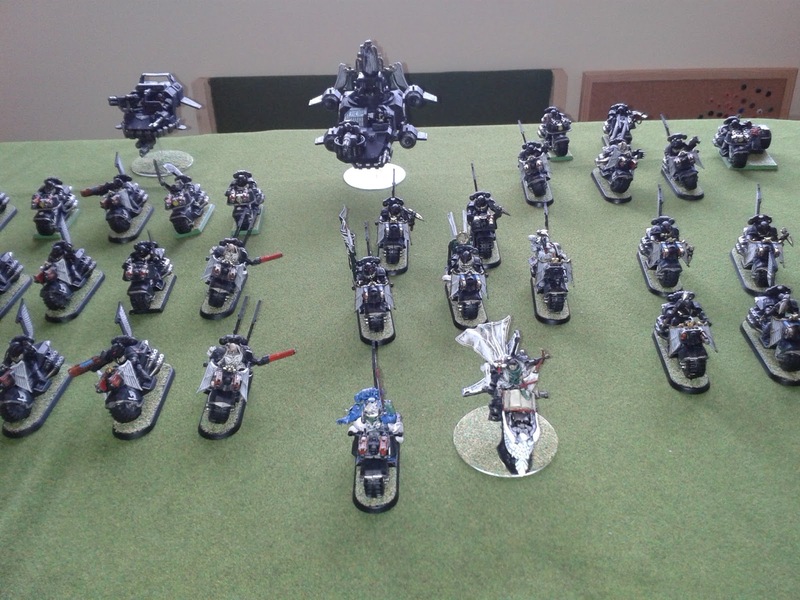 In particular that I don’t play 40k, that is the main focus of St-Andrews wargaming blog. Thanks a lot, I greatly appreciate it! Me and my younger brother (also a blogger https://mightyminiatures.wordpress.com/) were always into some war games. 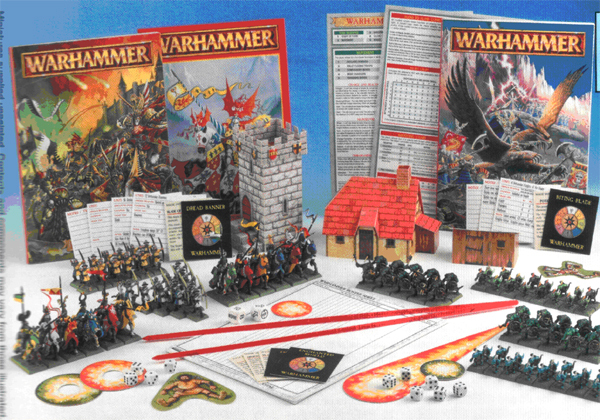 It started with board games as these were available easy, but I think the real beginning was with Warhammer Fantasy 4th edition. He bought a starter set and it didn’t take long for me to follow. I was 19 back then. This week, I have been working on my White Scars Landspeeder and Landspeeder Storm to finish them off for my tournament list for the upcoming Caledonian Revolution. I decided to paint both models at the same time as they are very similar in their colour scheme and it would allow me to get them done quickly. The Speeders were undercoated white. Heresy, I know, but when you are painting White Scars, it is much easier to start from a white surface. The hulls were then painted in the same way that I paint my armour; first a wash with Agrax Earthshade. I then drybrush with Ulthuan Grey, normally doing a couple of thin coats to get good coverage of the wash. I then do a couple of drybrushes of White Scar (what else?) to finish off the hulls of the vehicles. I find this creates a decent coverage of white on the model and adds a bit of depth to the white.